Is This Nendoroid Elly’s Packaging? It looks like a fortunate folk has gotten his hands on the production sample of Nendoroid Hercule Burton (Elly) from Tantei Opera Milky Holmes series. Yes, the said Nendoroid is supposed to be released next month, but several folks have already received theirs earlier for some reason. 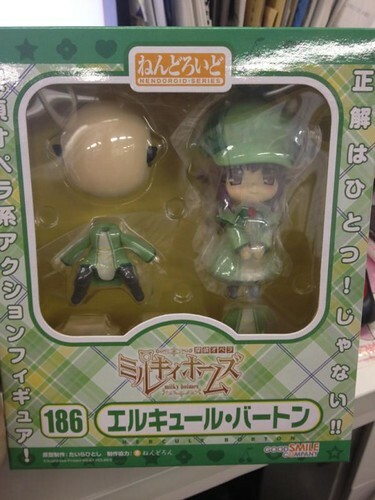 This entry was posted in News and tagged hercule barton, nendoroid, tantei opera milky holmes. Now if only GSC would release the other two Milky Holmes ladies!